Здравствуйте (greetings)! Comrade, you’re probably aware of our previous progress report. We have now begun field testing of our subjects. The outcome is favourable. 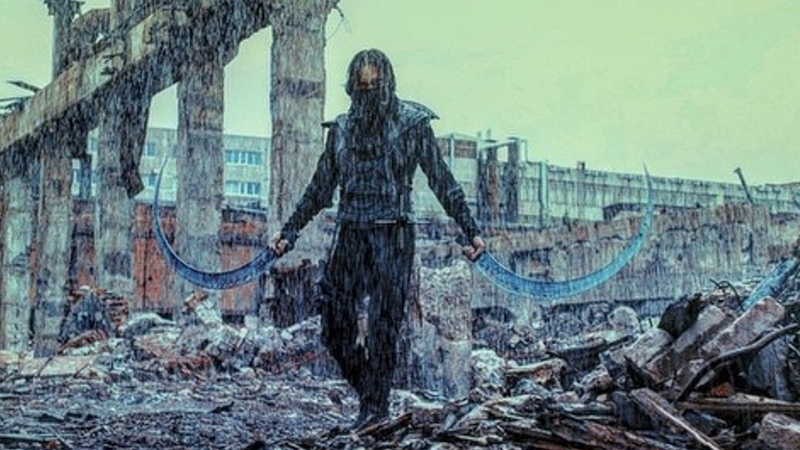 Zaschitniki (aka Guardians) is a Russian Superhero movie where a secret military group called “Patriot” created an unbeatable squad of extraordinary people, however times have changed as the group went underground for a time. With its release date sometime in Winter 2017, it looks to be a long wait BUT do not fret for they did come up with a nifty new trailer focusing on one particular character –Khan. Now that’s what I call “Shish keKHAN”! He looks like a cross between Riki and Magina from Dota! 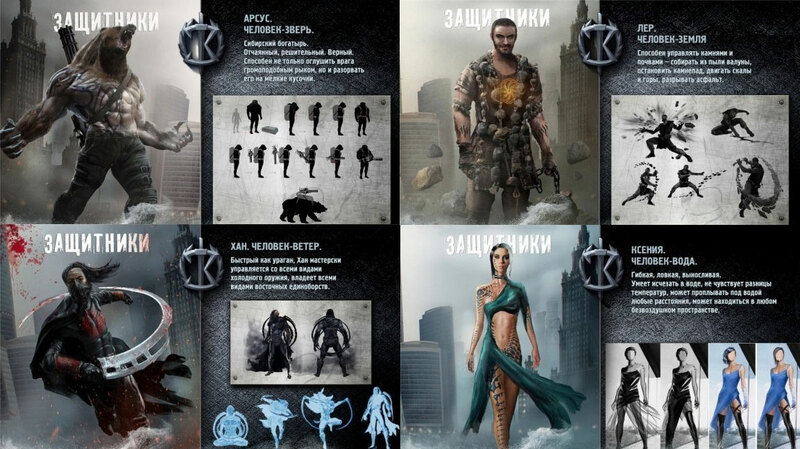 :p Below is a photo of the group with what seems to be an info graphic of their abilities & weapons.